The Mauritius Prison Service (MPS) is implementing the e-Prison System in collaboration with the Government of India. An agreement between the Mauritius Prison Service(MPS) and National Informatics Centre Services INC (NICSI), India, was signed on 4th October 2012 at the Prime Minister's Office for the development of the e-Prison Software. Up gradation & modernization of Atal Bihari Vajpayee Centre for Excellence in Information and Communication Technology (ABVCE-ICT) at Ulaanbaatar, Mongolia. The project included setting up of CIC’s in Mongolia. With the objective of protecting data and ensuring effective backup and data recovery, NICSI has setup a state-of-the-art Tier III Internet Data Centre at Delhi IT park premises at Shastri Park. NKN project is an internal network capable of providing secure and reliable connectivity with ultra-high speed core with multiple 2.5/10G to 40/100 Gbps. Enhancement of NIC cloud services at national data centers of NIC at Delhi, Pune and Hyderabad. The e-Procurement System of India enables the Tenderer's to download the Tender Schedule free of cost and then submit the bids online through this portal. 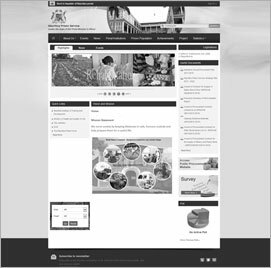 It is an instrument for the Next Generation Governance with a Content Management Framework (CMF) enabling the employees to create their own content and submit for review and publication on the portal. e-hospital a Hospital Management System is a workflow based ICT solution for Hospitals specifically meant for the hospitals in Government Sector. This is a generic software which covers major functional areas like patient care, laboratory services, work flow based document information exchange, human resource and medical records management of a Hospital. It is a patient-centric system rather than a series of add-ons to a financial system. 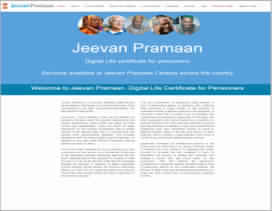 e-Vidhan is fully automated system that manages the day to day functioning of the entire Legislative Assembly and radically changes the legislation process like reduce paper usage and emphasize online communications; auto-compilation of reports and queries; Providing the data instantly to carry out various analytical studies and so on. NICSI continued its services to the major projects like UP SWAN, Passport Office, and computerization of CGHS dispensaries and introduction of plastic cards to the CGHS beneficiaries, mission mode projects like e-districts in a number of states. Comprehensive DDO SW, Office Procedure Automation (OPA) SW and File Tracking System (FTS) were implemented in a number of Government Departments. Major projects undertaken during the year are setting-up of high speed data processing centre in the various offices of Registrar General, India for Census-2011;facilitating UIDAI; Communicating Participation Unit of UP Jal Nigam for data centre setup. VC networking in J&K. 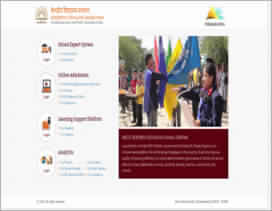 Court Computerization, Counseling for admission in different courses, Integrated Finance Management System for Government of Rajasthan, Computerization of Chief Election Office, Prisons in Punjab; NIC services to Doordarshan for Commonwealth Games etc. 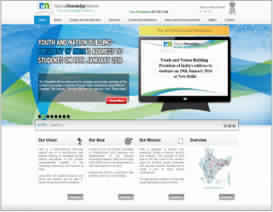 NICSI’s e-procurement SW hitherto has been provided to Jharkhand, Himachal Pradesh and Punjab for implementation.